Just a month after for-profit college operator ITT Education Services announced it had become the focus of a federal fraud investigation, the Department of Education revealed it had placed restrictions on ITT Technical Institute’s use of federal grants and loans. The Dept. of Education announced the limitations in a letter [PDF] to the for-profit education chain on Monday, noting that the action was a result of the company’s failure to account for millions of dollars in aid that was distributed to students in the last five years. Under the restrictions, ITT will now only be allowed to pay out federal education funds to students once they’ve attended classes and been certified as eligible by a school representative. The company must also submit monthly enrollment rosters with aid information and news about any restrictions placed on it by lenders to the Department. ITT first appeared on the Department’s “heightened cash monitoring” list last year for missing the deadline for filing financial statements. That action meant that before ITT could request or draw federal funds it had to make disbursements to students and parents for the amount of Title IV funds that those students and parents were eligible for and had to compile borrower-level records with respect to the funds disbursed to each student or parent. While the Dept. 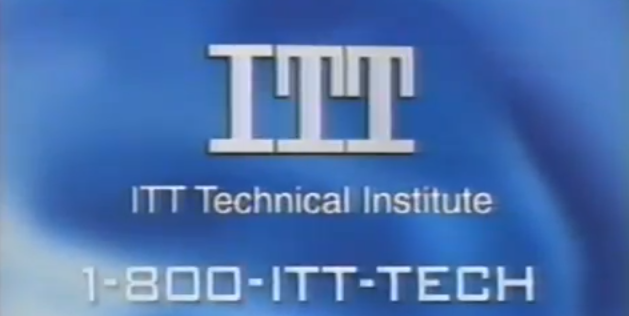 of Education worked with ITT to straighten out its past accounting issues over the summer, the agency said on Monday that the company “provided conflicting information regarding the reconciliation of Pell Grant Award” years 2010 to 2013. Reconciliation of those awards should have been performed before July 2015. “Taken together, these facts demonstrate a failure by ITT to meet its fiduciary obligations, to properly and timely reconcile Title IV program funds as per the regulations and Federal Student Aid guidance,” the letter states. On Tuesday, ITT Education Services vice president of government relations and external affairs, Nicole Elam, issued a statement saying the company was complying with the Department’s requirements and are already in the process of implementing measures to address reporting issues. “While the additional requirements will result in an increased administrative burden, the company does not believe they will have a material negative impact on our financial results, or in any manner affect the timely award of financial aid to eligible students or the operation of our campuses,” she said. While those who have fought to rein in the for-profit college industry were quick to applaud the Department’s action on Monday, they also questioned why ITT Technical was still able to operate at all. The new restrictions from the Dept. of Education are just the latest regulatory and legal issue for ITT Educational Services. Last month, the company revealed that the Department of Justice was looking into whether the company defrauded the federal government. The company noted in a filing with the Securities and Exchange Commission that it had received a Civil Investigative Demand from the DOJ seeking “to determine whether there is or has been a violation of the False Claims Act,” which imposes liability on companies who defraud government programs.